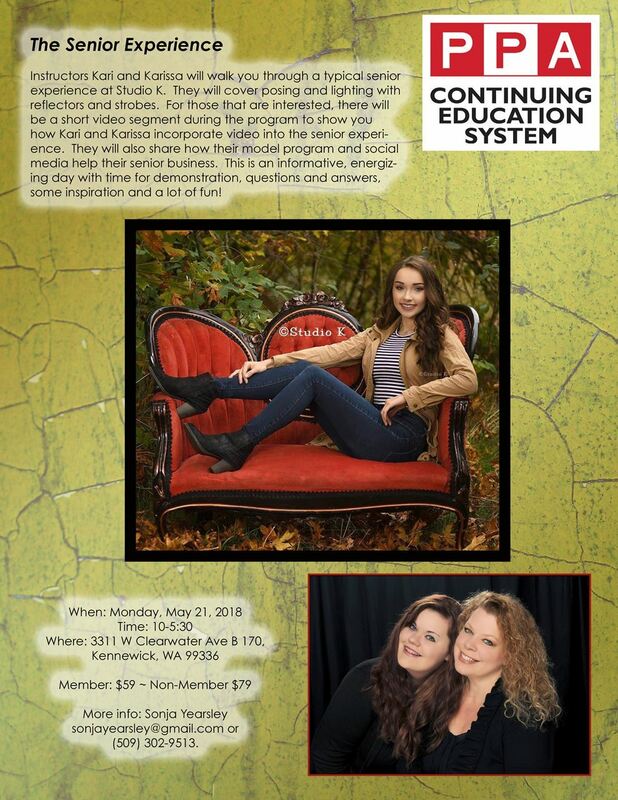 Instructors Kari & Karissa will walk you through a typical senior experience at Studio K. They will cover posing and lighting with reflectors and strobes. For those that are interest, there will be a shortchanged video segment during the program to show you how Kari and Karissa incorporate video into the senior experience. They will also share how their model program and social media help their senior business. This is an informative, energizing day with time for demonstration, questions and answers., some inspiration and a lot of fun!